Hondo retires after nine years of dedicated service. Master Trooper Mick Dockery and Hondo have been partners since December 2007. INDIANA STATE POLICE BREMEN POST — After more than nine years of dedicated service Indiana State Trooper Mick Dockery and his K-9 partner Hondo have completed their last search as Hondo now settles into retirement. 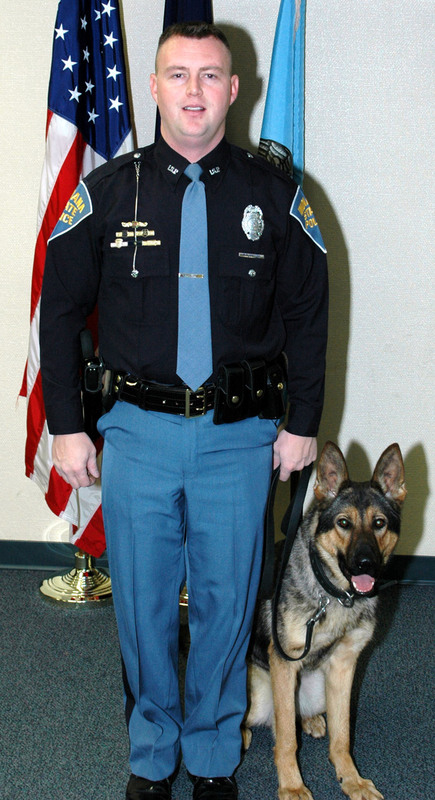 Dockery and Hondo were paired together in December 2007 when they both entered the Indiana State Police Patrol K-9 program. During their nine year partnership they conducted more than 600 searches resulting in more than 600 drug related arrests. They seized nearly 1,800 pounds of marijuana, more than 3 pounds of methamphetamine, 107 pounds of cocaine, more than 10 pounds of heroin, and more than $2.4 million in cash and assets associated with drug trafficking. Hondo was a valuable asset to the Indiana State Police until his retirement in February 2017. 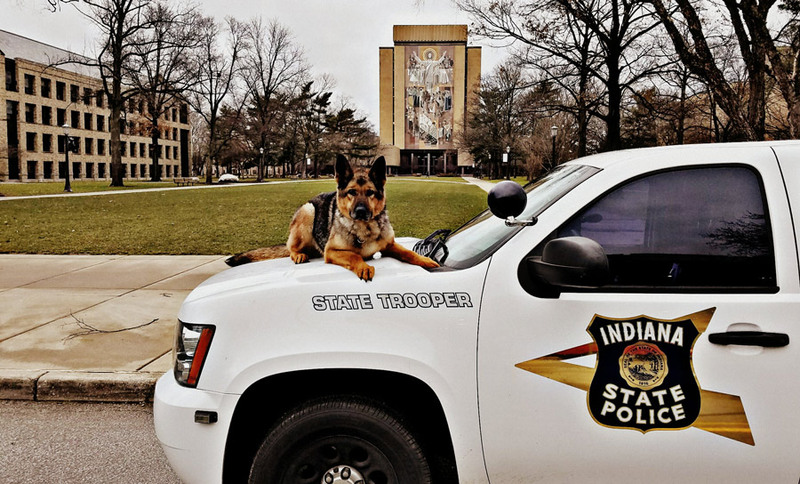 Though Hondo now spends his days relaxing at the Dockery family home, Dockery has continued his involvement with the ISP K-9 Patrol Program as a master K-9 trainer for the state police. Indiana State Police Patrol K-9 program was established in 2005. ISP Patrol K-9’s participate in more than 3,500 details annually that include vehicle searches, building searches, tracks, assisting other agencies and public appearances. 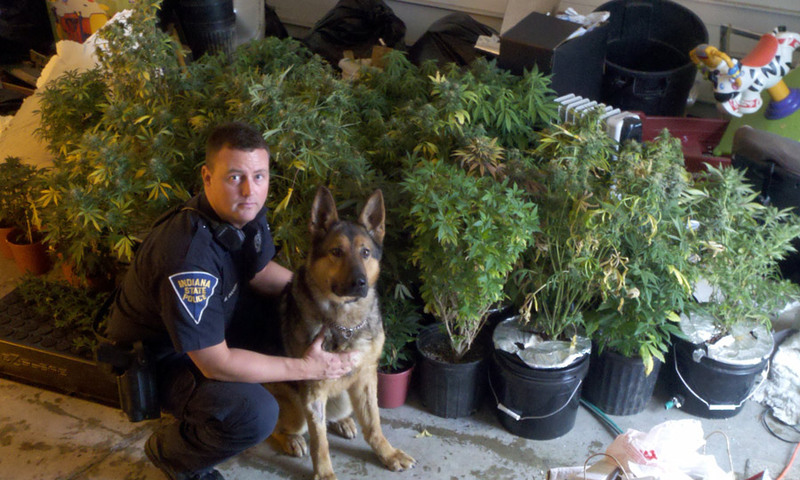 Master Trooper Dockery and Hondo with one of their marijuana seizures.